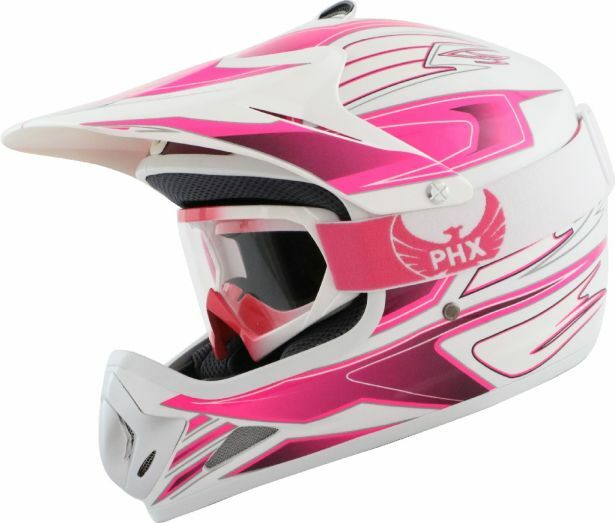 PHX GPro Youth Goggles - Gloss Pink/White (pink middle with white sides). PHX GPro goggles offer renown quality and unbeatable value. Constructed from highly durable and flexible resins these goggles also come equipped with the highest quality and longest strap in the market, making sure that the goggles can be worn around the biggest heads and the largest of helmets. Assembled with a high-tech blend of non-toxic, non-soluble adhesives these goggles will last the test of time. The goggle is additionally treated with a colour stay coating which ensures resistance to discolouration and fading over time.